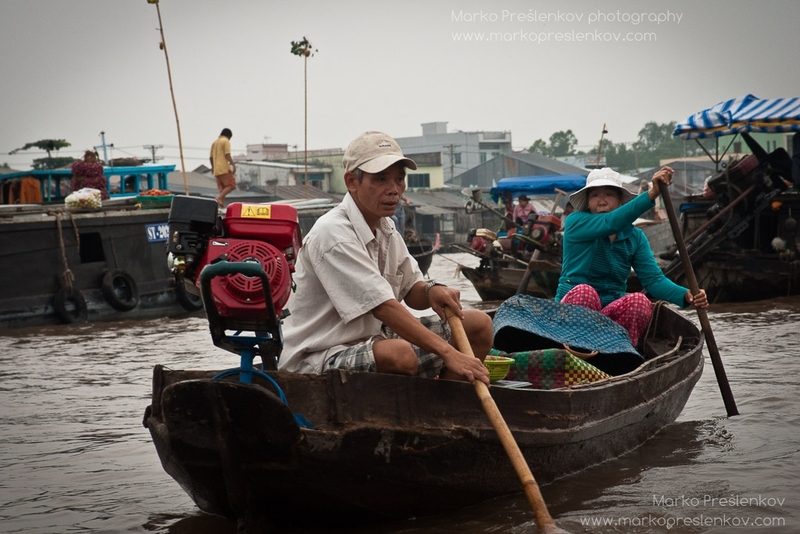 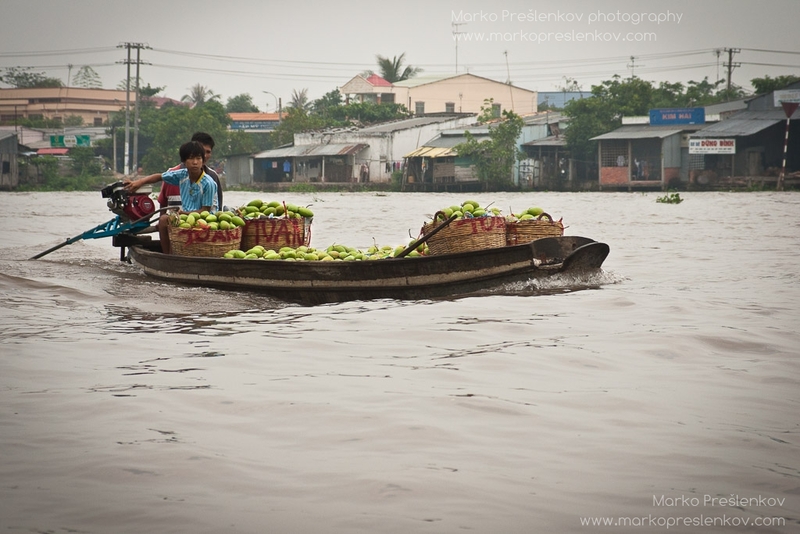 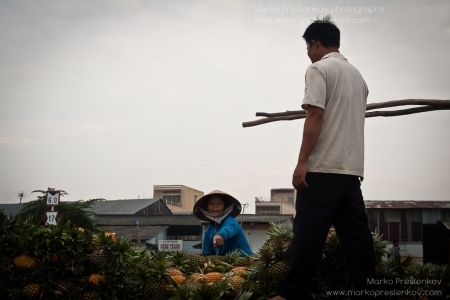 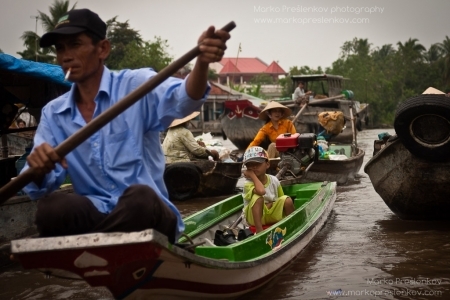 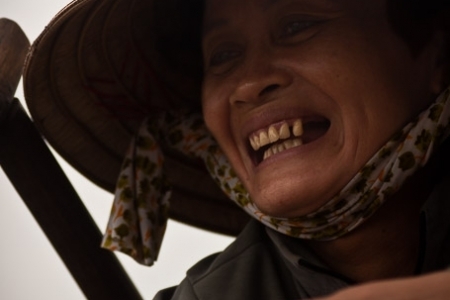 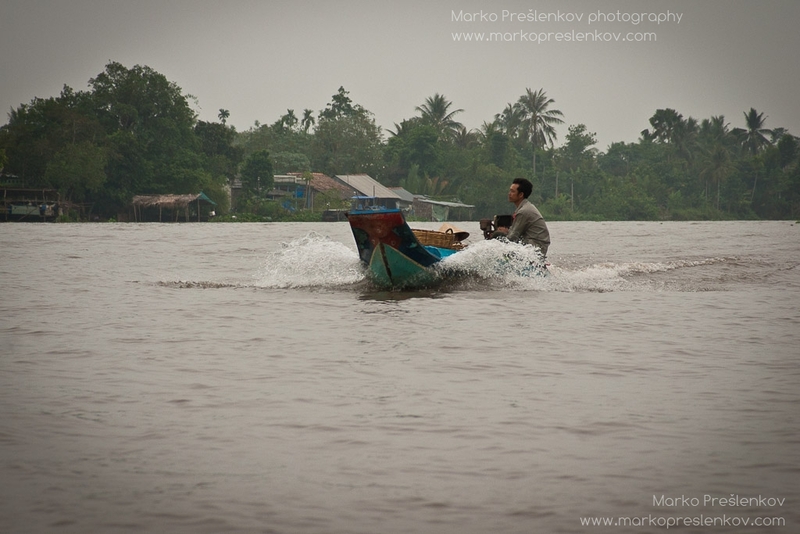 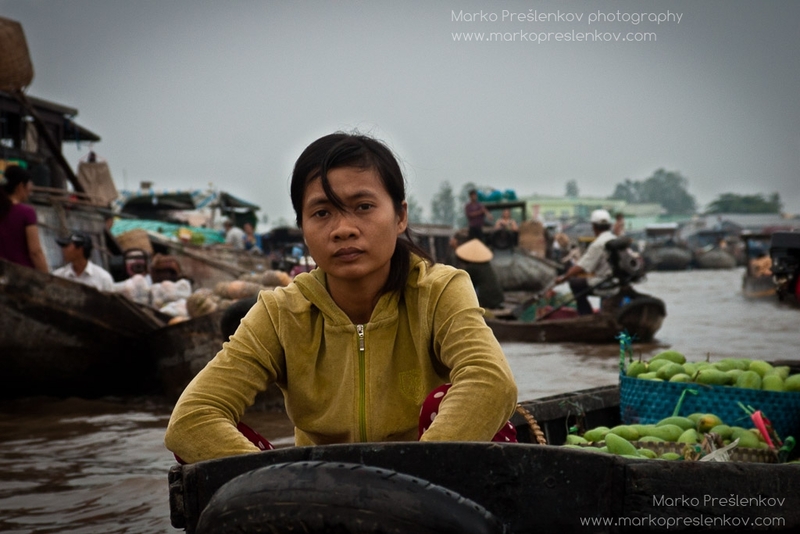 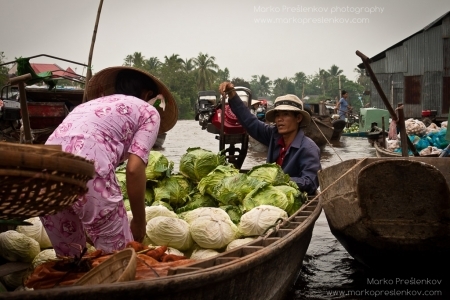 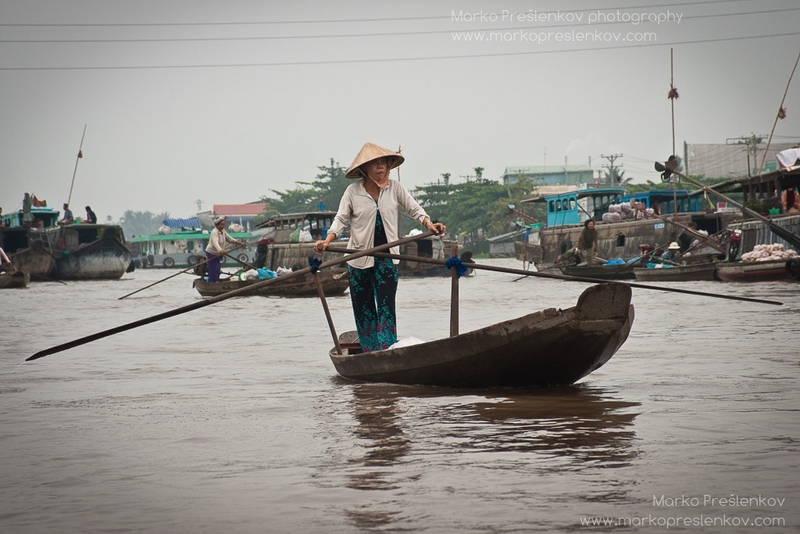 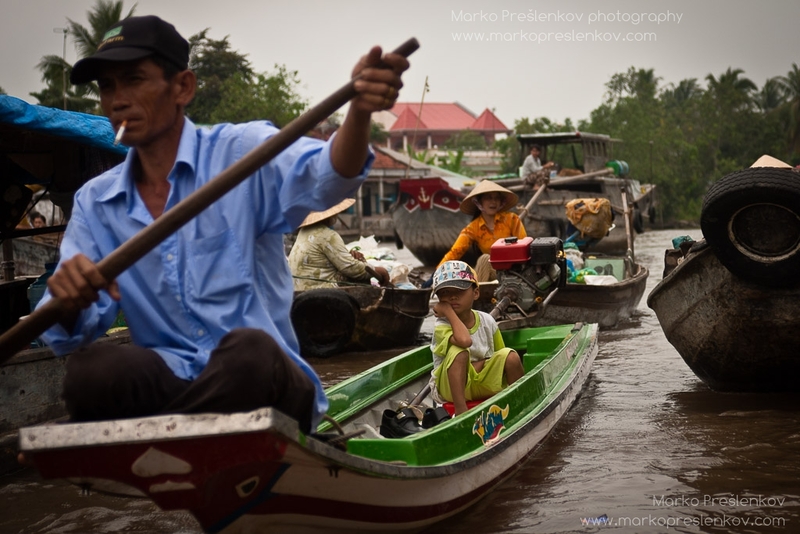 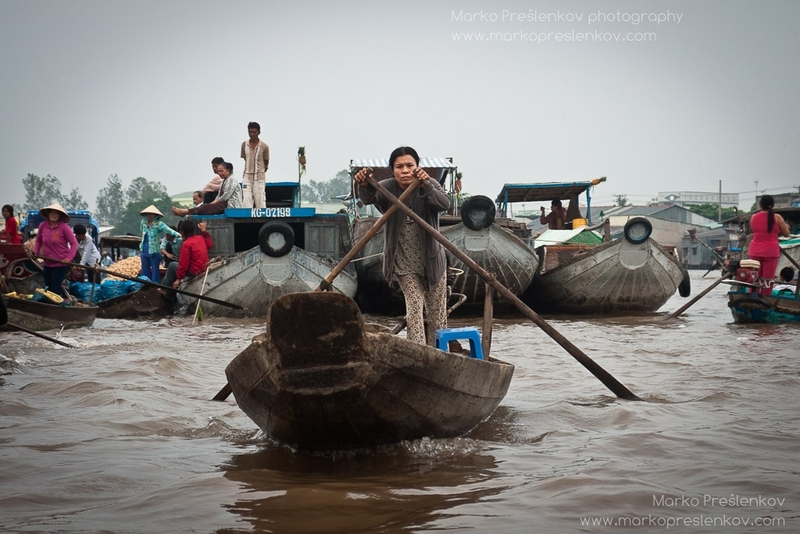 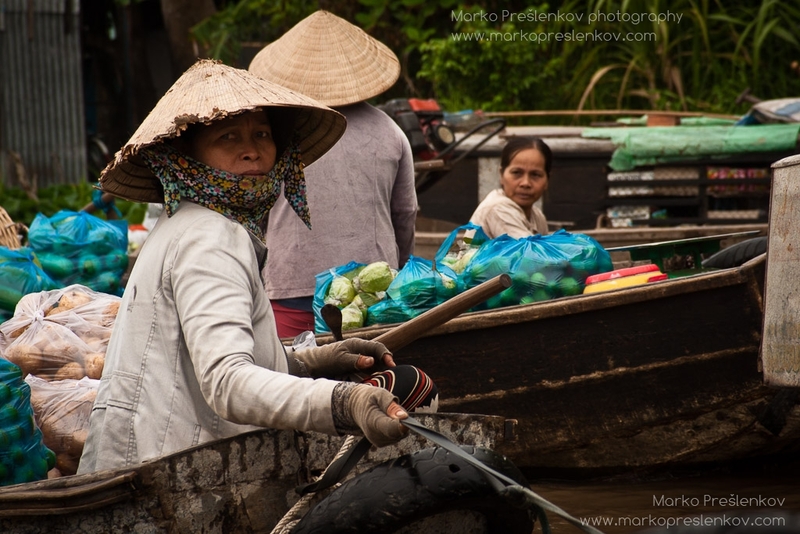 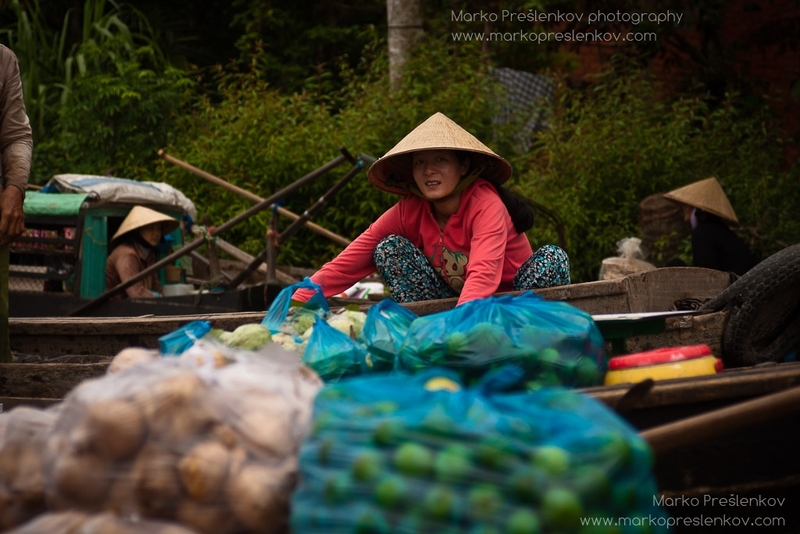 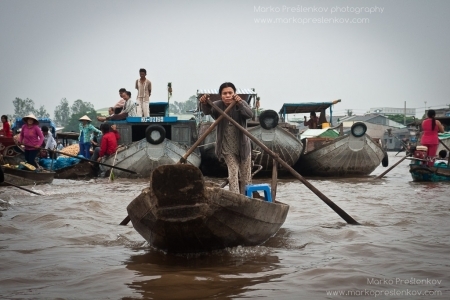 Floating market at Cai Rang, close to Can Tho, is the biggest floating market in the Mekong river delta. With all sorts of fruits and vegetables being sold straight from the boats it is a feast of colors and also of sounds as sellers fight for attention of the prospect buyers. 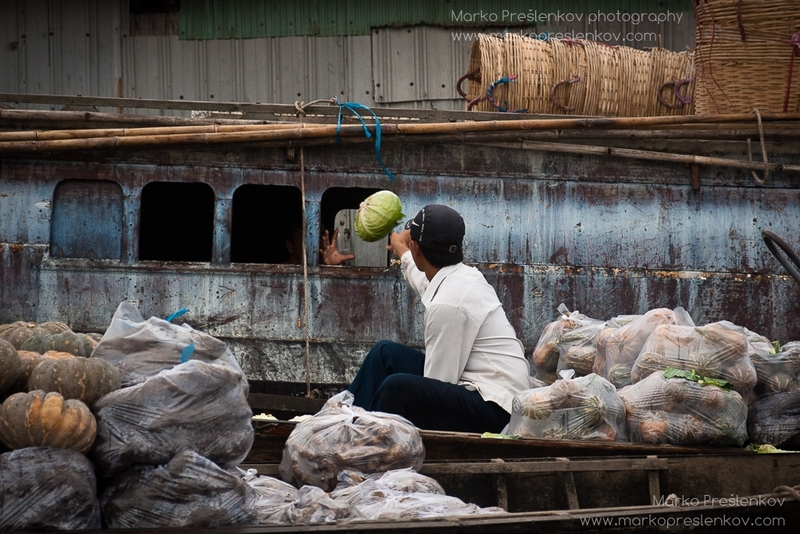 Most of the boats sell only one type of fruit or veggies – which is clearly marked by hanging that fruit or vegetable on a long pole on the front of the boat. 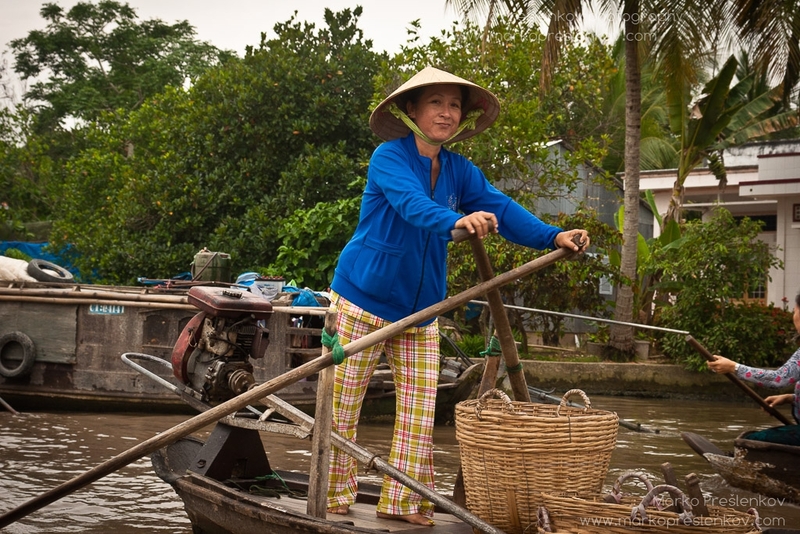 But there are also other type of boats, little supporting boats, people selling Vietnamese coffee to sellers that got up early in the morning and to sleepy tourists, boats selling all sorts of tea and food and also, not surprisingly, simply boats for hire, to take the eager tourists right into the center of the action. 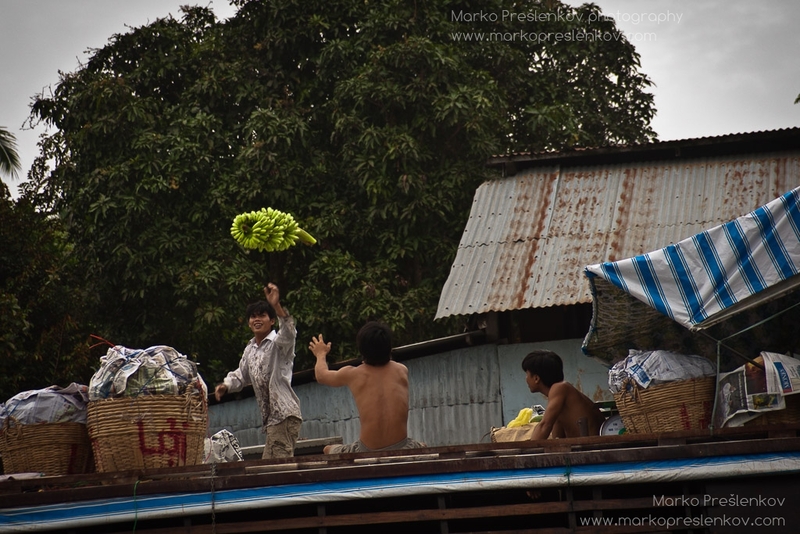 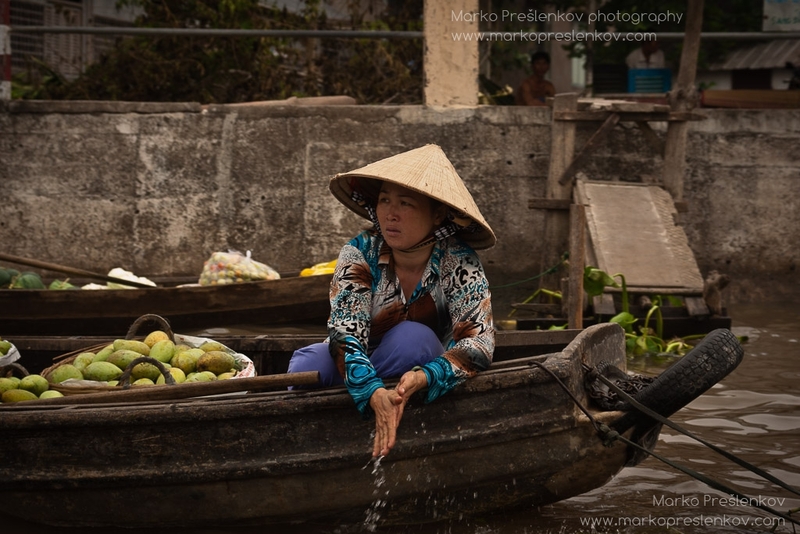 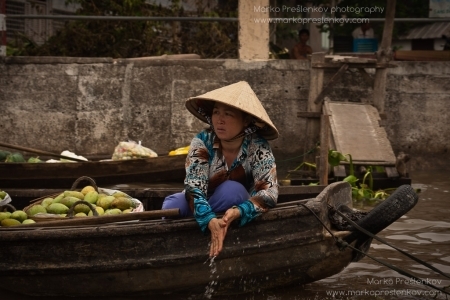 Nowadays most floating markets serve as tourist attractions as much as a real market and a place to trade or meet, but once upon a time, when water transport played an important role in daily life they were a prime place for trading, selling, buying and meeting other sellers, buyers and friends.